About Power of Excellence Mobile Detailing: was founded in 1996 by Paul Viens to meet the growing demand of the high end car care industry. We service all types of automobiles whose owners truly care about their vehicles appearance and performance. This is our specialty, automobiles. We at Power of Excellence Mobile Detailing want to be sure you’ve made the right choice by providing a level of professionalism, consistency and reliability never experienced in the auto detailing industry. Power of Excellence Mobile Detailing has fulfilled this role with high end customer service, pride, and the quality of our work. 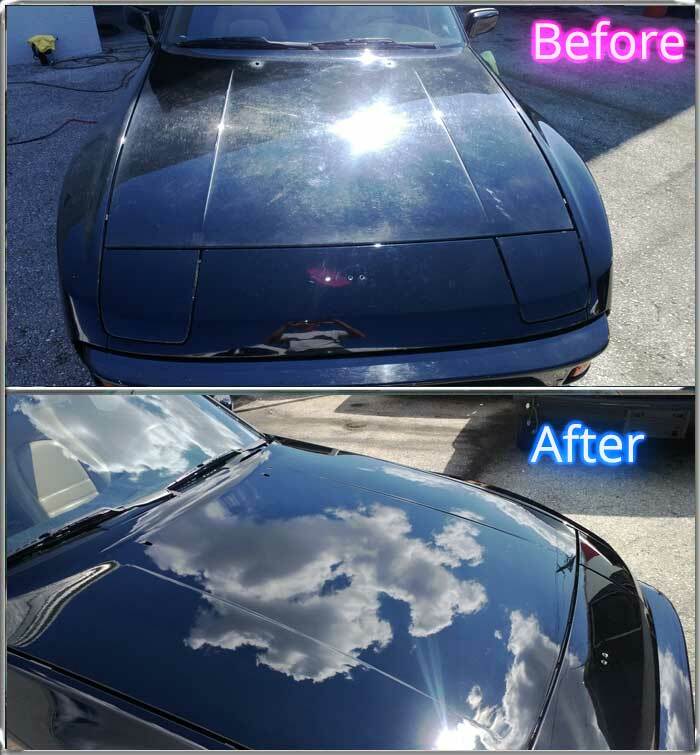 The Power of Excellence Mobile Detailing team is polite, dependable, and meticulous. Our detail specialists understand that maintaining your vehicle’s beauty requires a delicate touch, and your satisfaction is our highest priority. Power of Excellence Mobile Detailing experts now offer a 100% eco- friendly auto detail experience. We care about preserving the environment by using the latest technology, water smart systems, and biodegradable products that will not adversely impact the environment. We still offer traditional washing with water pressure for the extremely muddy vehicles or love bug problems the different seasons bring, but our focus is shifted to conserve and preserve our world with the growing water shortages whenever possible. Weâ€™re proud to say that 95% of our service is waterless. Power of Excellence Mobile Detailing is certified and professionally trained by The Detailing Pros. Our efforts in continued education in an ever changing industry has led us to the best. The Detailing Pros continue to lead the industry in efforts to be the very best and continually raise the standards in the auto detailing and reconditioning industry. We at Power of Excellence are on board. Power of Excellence offers many services from simple washes to high end details. Other services include engine detailing, fabric protection, headlight restoration, and windshield repair. At Power of Excellence, we take pride in knowing that our customers can be satisfied not only with the quality of our work but also with the safe and conscientious manner in which we do our work. Our mission is to protect the beauty of your vehicle and your world.